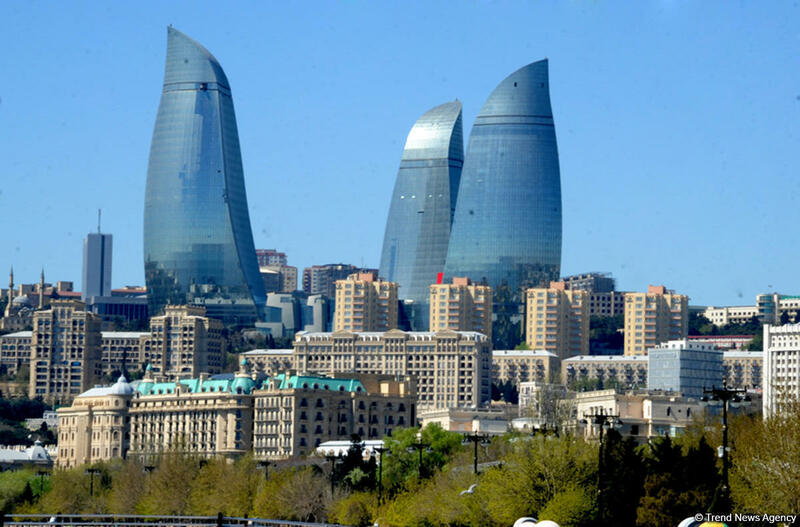 Rainless weather is expected in Baku on August 25. North-east wind will blow. The temperature on the peninsula will be +20-24˚C at night, +28-33˚C in afternoon in Absheron peninsula, +21-23˚C at night, + 31-33˚C in the afternoon in Baku, the Ecology and Natural Resources Ministry reported. Atmospheric pressure will be 759mm; relative humidity will be 65-75% at night, 40-50% in the afternoon. Sea water temperature will be 24-25 degrees on Absheron beaches (Sumgayit, Novkhani, Pirshaghi, Nardaran, Bilgah, Zagulba), the sea water temperature will be 25-26 degrees in southern beaches (Turkan, Hovsan, Sahil, Shikh). Intermittent rain is expected in some northern and eastern areas at night and morning. East wind will blow. The temperature will be +20-25˚C at night, +32-37˚C in daytime, +11-16˚C in mountains at night, +20-25˚C. It is expected that the temperature regime and other meteorological factors in Absheron peninsula will be within the climatic norms on August 25-26, which will be favorable for meteo-sensitive people.